Not sure about you but I've a closeted love for watches; there is something about having the power of time on your wrist. 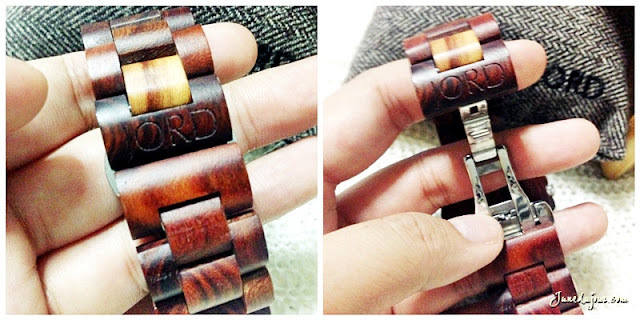 And beautifully crafted timepieces are a weakness of mine, so how could I have ever said no to this exquisite JORD Wood Watch , sent over all the way from the US? Yes, you heard me right...wood! 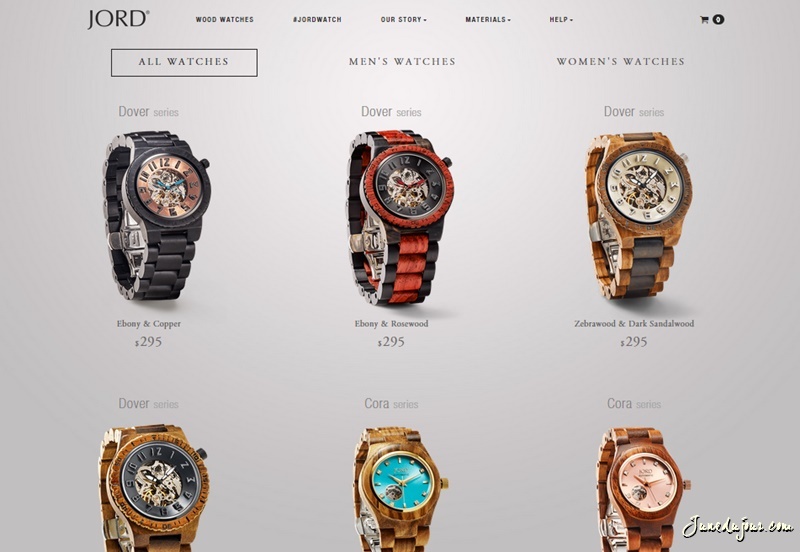 JORD specialized in making watches made of wood because they loved the idea of using natural materials; going the eco friendly route while bringing some life to an age old market. Not just interesting spin to your regular watch, you can feel a tad closer to Mother Nature too! My watch came to me beautifully presented in a cool wooden box with additional clasps and a little tool incase you wish to shorten or extend your watch. This makes for such a lovely gift idea, don't you think? Don't worry if there are problems with your pick; it comes with a 1-year warranty to set your mind at ease. Here I have chosen this beautiful red sandalwood piece from the ELY series, a simple and understate piece that I'm sure will be permanent fixture for all my outfits. I loved how this particular piece was a translated inspiration from the makers' hometown of St. Louis's historic brick buildings. A humble construction which remained relevant to the modern day businesses and homes that now inhabit them, like the Ely Walker Warehouse - pretty much what ELY stands for. When asked about what was their inspiration, Mr Paul Saitta, JORD's Marketing Manager replies: "We design our timepieces as a team. We put different things together and come up with what we think would look good. This includes the types of woods we use, colors of woods, and what the actual watch will look like. There is nothing more beautiful than nature itself, so with the natural material we look to nature a lot!" I found the watch extremely light and easy-to-wear; with a double deployment metal clasp for extra security. I found my watch extremely well-crafted and the feeling of a natural material somehow calming to the touch. And the brilliant red shade of the watch adds just a sophisticated dash of color to my staple of monochrome outfits. Thank you JORD for the beautiful timepiece! You can get your very own artisan timepiece at their website; do follow them for exciting new arrivals and deals.